Number of websites is increasing with every passing minutes, so is the number of webmasters. This trend is likely to continue in future as technology is evolving and more startups are being created by the young entrepreneurs. What is more, these talented entrepreneurs are not limiting their knowledge by creating websites only, they are using their skills to venture into the world of android apps, social media, mobile technology and further. No doubt, these young entrepreneurs have great expertise in technological knowledge, however sometimes they lack in effective marketing skills. As a result, their website or product gets lost in the crowd as competition is always increasing. This is why it is becoming more difficult to get the expected result from a website or app without implementing proper marketing strategy. If you are a webmaster or app developer, it would be hard for you to spend time to learn about SEO, social media, PPC, media buying and at the same time implementing those strategy into your website (s) in order to get more traffic, sales and conversions. Considering that, it would be wise to outsource your SEO and marketing needs to efficient people. By doing so you will be able to save your quality time, also you will have less headache which will also result in more productivity. However the major question that arise is how to find effective SEO, marketing services which will truly benefit your websites, apps and social media channels. This kind of situation is very common for most webmasters, entrepreneurs and business owners out there who are running their online business. 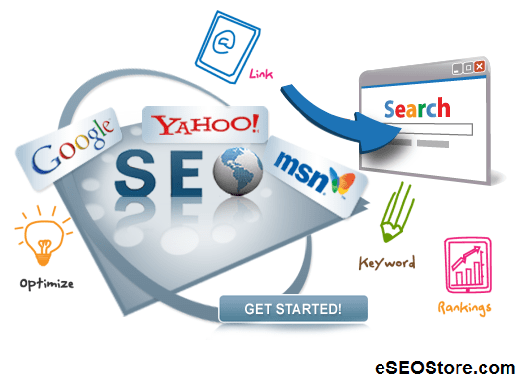 In a similar situation, you may have browsed different marketplaces like fiverr, odesk etc to find the efficient marketers and quality SEO services. Sometime you have succeeded while in most occasions you have failed to find the exact service that you were looking for. The major reason why you failed because these marketplaces are open to all sellers irrespective of their quality. Naturally these places got crowded with low quality services over the time period. As a result they have only became a garbage of low quality digital services mostly from 3rd world countries likes Bangladesh, India, Pakistan etc. Even if you try hardest, you may not succeed to get service which is worth your money. It would be wise not to waste your time on these marketplaces if you want to achieve your goal without headache. You may be wondering if there is any solution to your dilemma. Sure there is, you just need to be more selective in your searching process. Instead of opting for marketplace filled with low quality services, you should choose a SEO Marketplace where services are approved by the editor team. These editors themselves are well versed with SEO and online marketing knowledge, hence they can easily differentiate the quality services. As a result you can save your valuable time and be assured about the quality of services that you are buying. Once you buy only quality SEO and social media service, you are sure to get the best results for your marketing campaign.